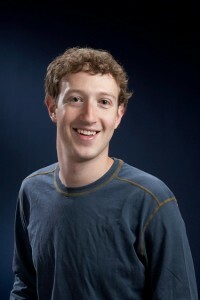 Facebook CEO Mark Zuckerberg was named worst-dressed man in technology by GQ magazine, beating out Apple’s Steve Jobs and proving that astronomical sums of money can’t buy style. The CEO is “oblivious to the fact that jeans and ties come in skinny sizes — or that suits exist.” Zuckerberg has donned suit jackets in the past, such as when he met with President Barack Obama for a tech summit with major technology executives, but stuck with his trademark jeans even on these special occasions. The social network CEO’s style has even inspired a mock fashion line, Mark by Mark Zuckerberg, “which thankfully doesn’t sell any actual clothing,” according to GQ. Taking third place was Microsoft founder Bill Gates, which GQ took down for his “lazy preppy” wardrobe. Of course, Zuckerberg, Jobs, Gates and other tech leaders probably are too busy guiding world-changing technology companies to make style much of a priority. They can take consolation in their personal wealth — Zuckerberg’s fortune, for example, was recently estimated to be at least $18 billion. Fashion arbiters would probably suggest, however, that a bit more of it go to spiffing up his wardrobe. This post originally appeared at Mobiledia.